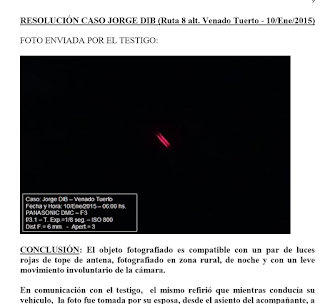 The CEFA (Comission for the Study of Aerospace Phenomena), attached to the Argentinean Air Force (AAF), which looks into the possible causes of unidentified flying objects (UFOs) within Argentinean air space, published the results of cases reported from November 2014 to November 2015. Andrea Perez Simondini, Director of CEFORA, informed AIM that the organization under her care "strives for declassification" and "looks favorably upon the AAF's reply to popular demands regarding reports that reach its offices." A review of the AAF website showed something new this time. On the website http://www.faa.mil.ar/mision/cefae.html, regularly consulted by AIM, and under the section Commission for the Study of Aerospace Phenomena, Resolution of 2015 Cases ( http://www.faa.mil.ar/mision/informe_cefae_2015.pdf ), the agency noted that "the sightings presented cover the entirety of reports submitted to CEFA through its web page, taking place in 2015, although due to functional and administrative reasons, they span the period corresponding to November 2014-2015." CEFA explained that their analytical methodology included a combination of several techniques, "depending on whether the object was photgraphed or recorded, from unaided observation, data readout and comparison with what is known [to exist] in the aerospace environment, to a complete analysis of the evidence presented." When this agency asked about the publication, Pérez Simondini stated that "these are cases reported by people, and those that could be solved were published." 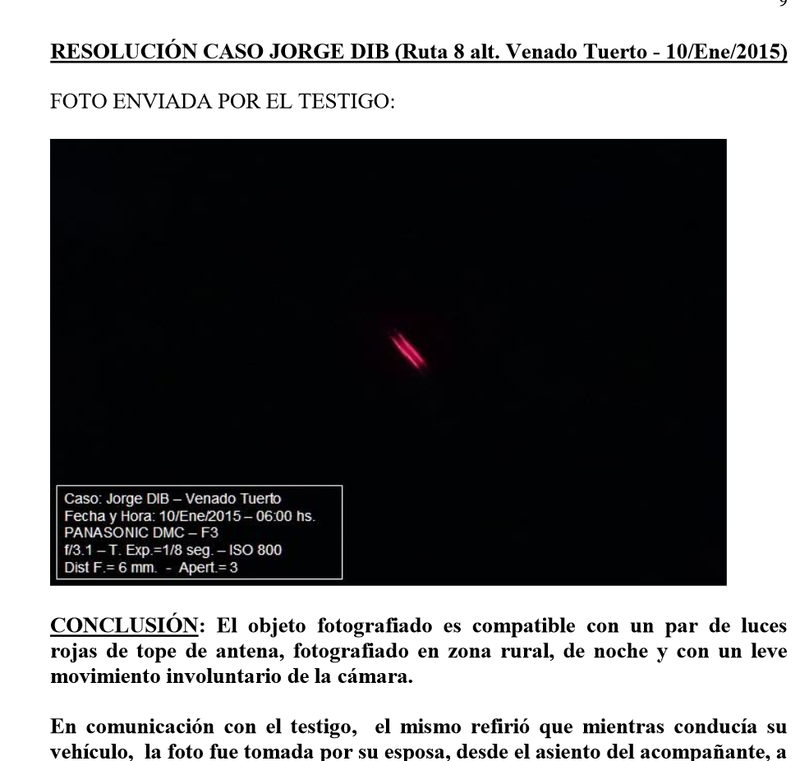 Pérez Simondini added that CEFORA, which strives for the declassification of UFO files, "looks favorably upon the AAF's reply to popular demands regarding the numerous reports that reach its offices." Despite minimal progress, CEFORA hopes that files involving the military, pilots and air traffic controllers - such as the renowned Bariloche Case - will be made known, in keeping with the Gendarmería case, an AIM Digital exclusive which proved that this [police force] displays greater openness when it comes to making available cases involving its own members.